Again, thank you so much for the reply. To answer your question, there is noting wrong with the INGS wing. Its is just that I am really trying to copy this car... If you look at it closely, the mount of the wing is very similar to the mount of INGS. As per my research, the Wing that they used was the Voltex type 3. Thanks for your reply. 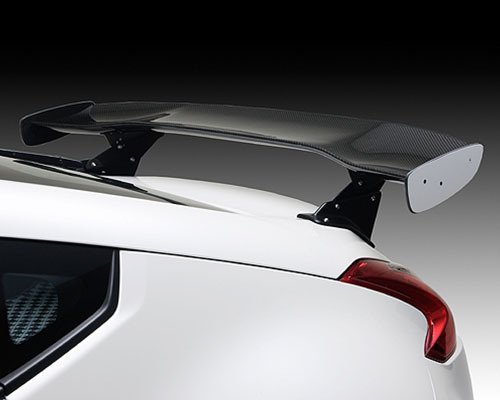 The Voltex Type 3 wing is discontinued. I spoke with INGS about just buying the low mount for the purpose of mounting a different wing to it. They said that they cannot guarantee fitment of their mount to go with any other wing. You would be looking at a situation where there would be a 4-8 week wait for the mount from INGS and it would be a non-refundable purchase. I am not trying to deter you from the purchase but GT wings are not usually interchangeable with other companies mounts. They all have their own designs. They way you have to look at this is there will need to be some customization in order to mount a different wing onto the INGS mount. Also the wing you choose to mount to the INGS product will not be sold without mounts. So I have to ask, what is it about the INGS wing that you don't like? Thank you for your inquiry. Also thank you for the opportunity to earn your business. 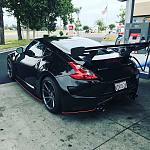 The Amuse Body Vestitto Body Kit comes direct from Japan, shipping alone for a full body kit will be quite expensive and the only company who imports Amuse to the states are not the easiest to work with. Is this the wing you are looking at?